On the 8th (Sat), examine the collection at Canadian Museum of History, examine the collection at National Gallery of Canada, and then take a stroll through ByWard Market. 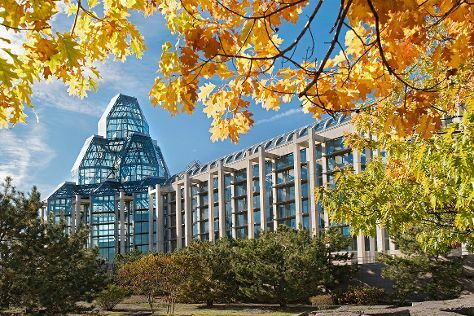 For where to stay, more things to do, and other tourist information, read Ottawa tour planner. Quebec City to Ottawa is an approximately 5-hour car. You can also fly; or do a combination of train and flight. Expect a daytime high around 16°C in October, and nighttime lows around 5°C. Finish your sightseeing early on the 8th (Sat) to allow enough time to drive back home.